1. No coupon code required. Discount automatically calculated in cart. 2. Sale expires February 11th at Midnight MST. 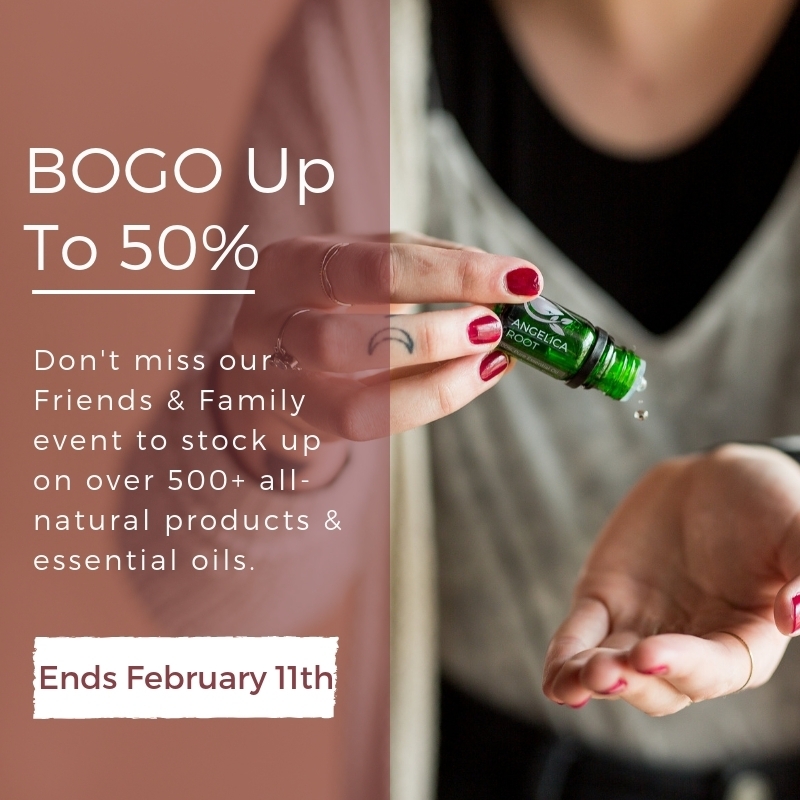 This sale is valid for over 500 different items in the Jade Bloom catalog including 100% pure single essential oils, essential oil blends, combo packs (count as 1 item), deodorant, soap, shampoos, toothpaste, muscle rub, body scrub, cases, teas, and other essential oil accessories. Don't miss this exclusive Friends & Family sale as we say THANK YOU to our customers we love so much!